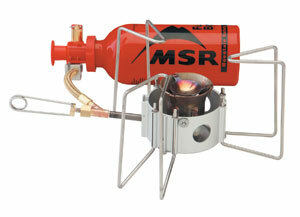 The dragonfly is my stove of choice. It packs up pretty small and will fit just about anywhere. From gourmet cooking to freezedried or dehydrated foods, it works well. 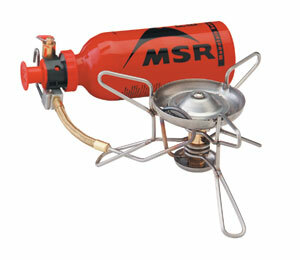 The burner is fully adjustable from simmering to full out blasting flame to boil water quickly. The pot supports are quite beefy and will hold a surprisingly large pot. I also carry the maintenance kit for this stove, as it is fully field maintainable. The trillium base will prevent it from sinking into frozen ground and will add support for those larger pots. It is not a quiet stove, but you will know if it goes out from boilovers or if the wind blows it out. 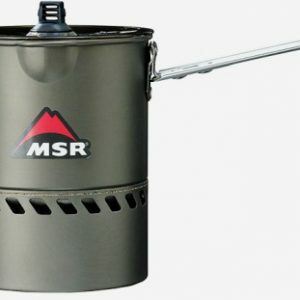 In other words, you know when it is working so you are able to walk away from it to do other camp tasks while cooking. This stove works great in the winter also. It burns a variety of fuel, although I have only used white gas in mine. 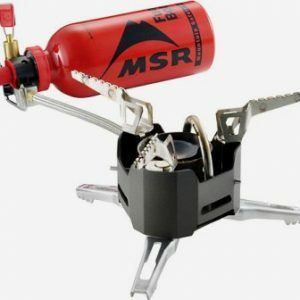 I prefer white gas since I can tell exactly how much fuel is left in the fuel tank – and easily refill them. 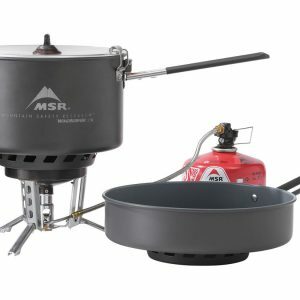 I actually carry two of these stoves in the summer for paddle in camping. That way I can bake something with an outback oven while heating coffee or cooking something else on the second one.